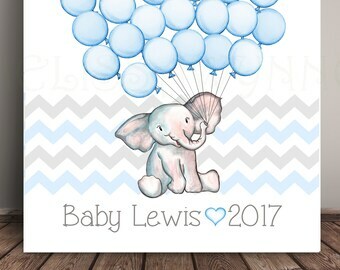 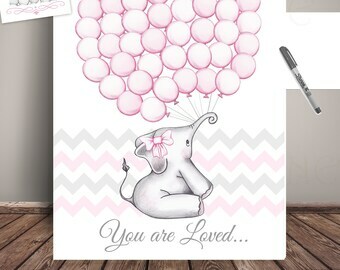 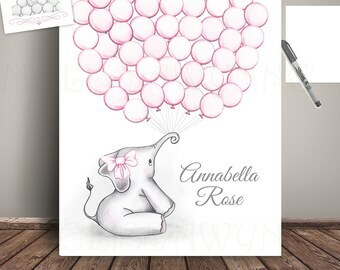 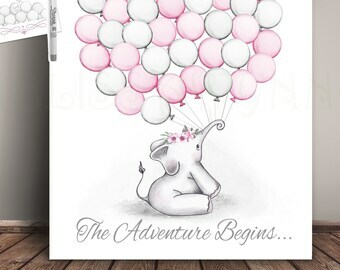 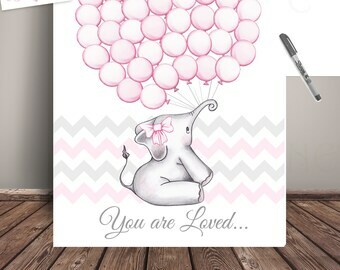 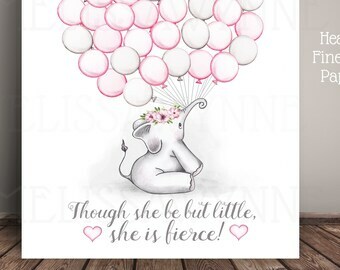 Pink Elephant Balloon Baby Shower Guest Book Alternative. 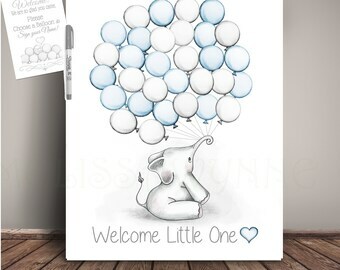 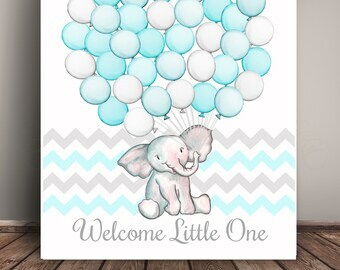 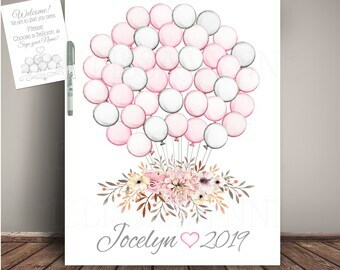 Choose the balloon quantity and display the print, along with the provided pen and instruction card, and have each guest sign their name. 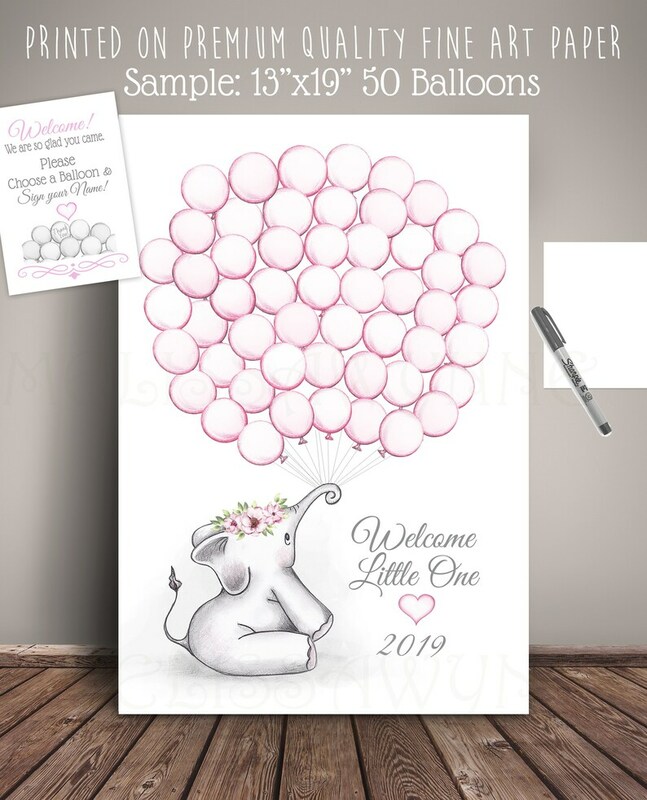 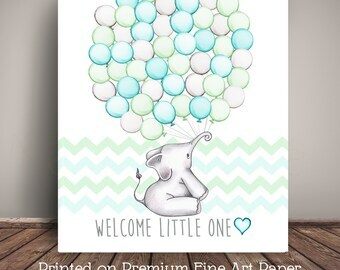 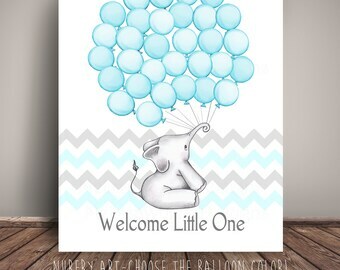 Display the art print at the party and have the guests sign a balloon (I recommend Sharpie Ultra Fine Point Markers, Not Included), then frame and hang it in the child's room to enjoy for years to come!